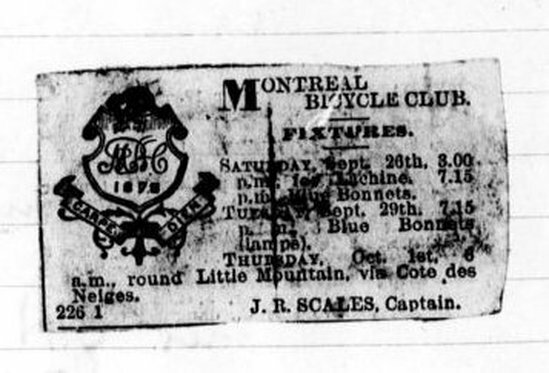 Sept 5 1885 The Montreal Bicycle Club Minute Book begins to include a Newspaper item called "Fixtures", a weekly list of bicycle activities the club was sponsoring. 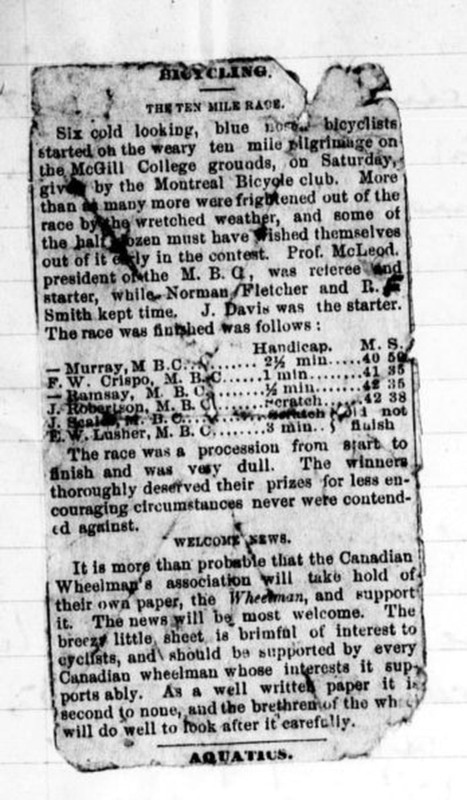 Fixture from 24 Sept 1885.
the McGill College grounds on Saturday. 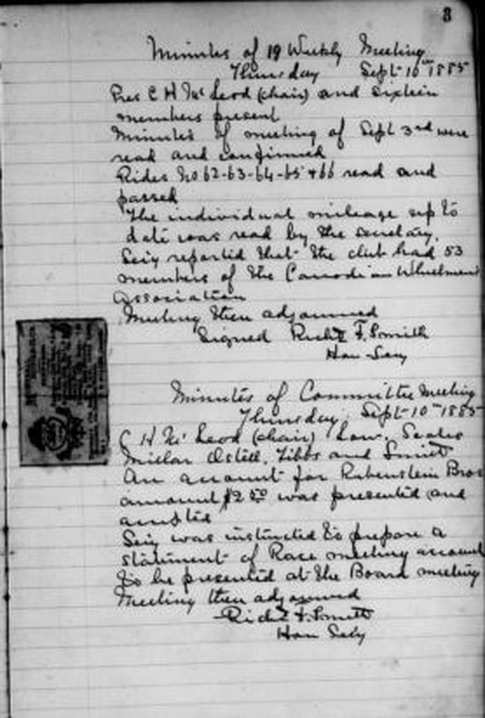 starter, while Norman Fletcher and R. ?. Smith kept time. J. Davis was the starter. will do well to look after it carefully.